The annual Old Courthouse 5k, presented by The Georgia Civitan Foundation and the Fayette County Civitan Club is coming. The run will start @ 8:00am on Saturday, June 8, 2019 in front of Fayette Senior Services, Fayetteville GA. Day of Race Registration opens @ 7:00am. For the 27th time, runners from all over the Atlanta metro area, will spending their morning enjoying the fun and the competition, the fellowship and most importantly, the opportunity to help those that can’t help themselves. 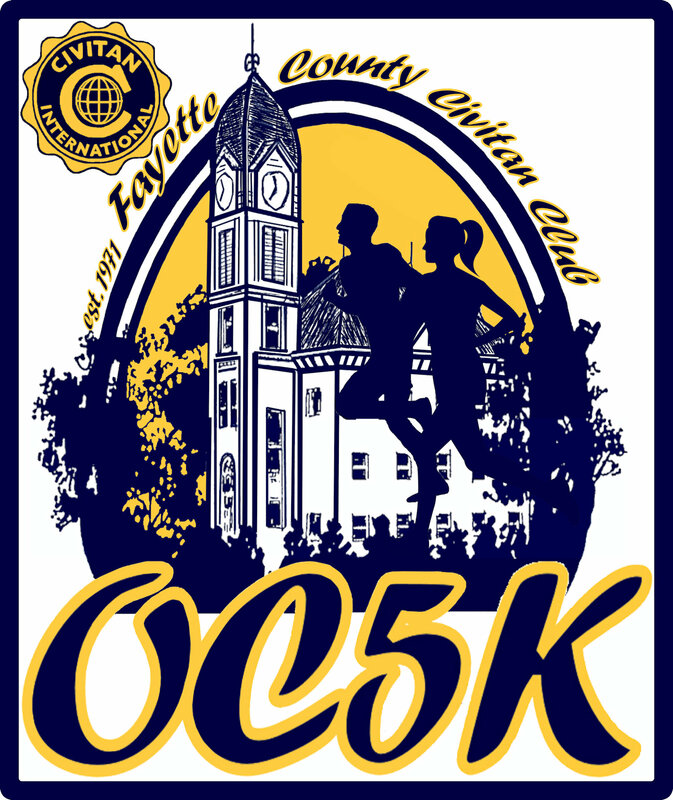 This will be the Fayette County Civitan Clubs 27th OC5K. The run is open all runners. Sign up and begin participating in helping great community organizations that support the special needs citizens of Fayette County. As always, there will be fantastic door prizes, refreshments and the great OC5K t-shirts for all registered participants, whether you finish the run or not. We want to thank last years sponsors whom partnered with the Fayette County Civitan Club and the 2018 OC5K. The run will begin at 8:00am, at the Fayette County Senior Services Center located at the Fayette County Justice Center, 4 Center Drive in Fayetteville. Proceeds from the run will aide organizations serving medically fragile and special needs citizens of our community, such as the Joseph Sams School, ExceptionalOPS, Ainsley's Angels of America, Fayette County Special Olympics, and Southwest Christian Care (Hospice, Hope House, Senior Care, and Spiritual Care).